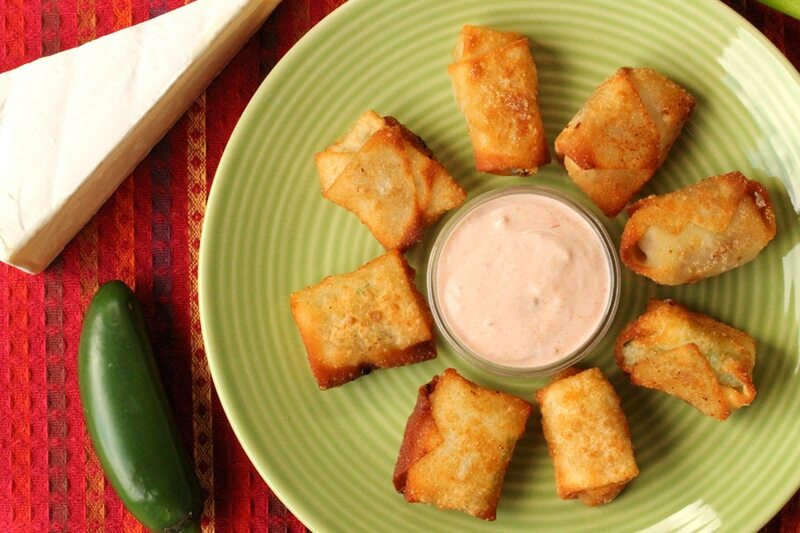 Crispy appetizers are so good and even better when they’re filled with cheese. 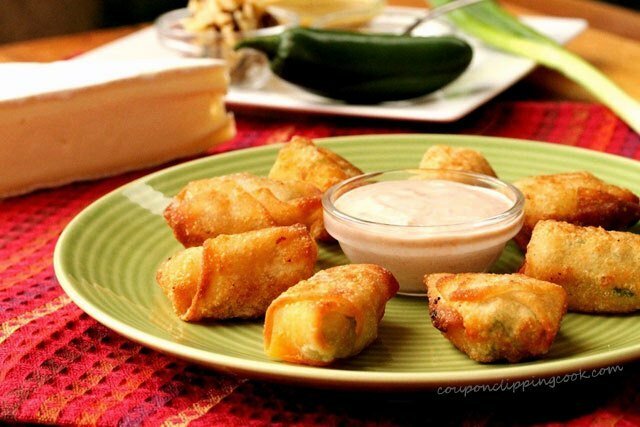 These especially delicious appetizers are made with wonton wrappers and a variety of different cheese fillings. 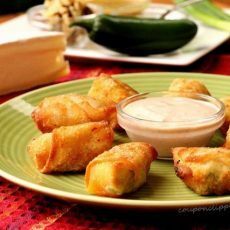 There are 4 different cheese bites in this recipe, each one filled with quick and easy combination of flavors that taste wonderful inside a crunchy crispy wonton. 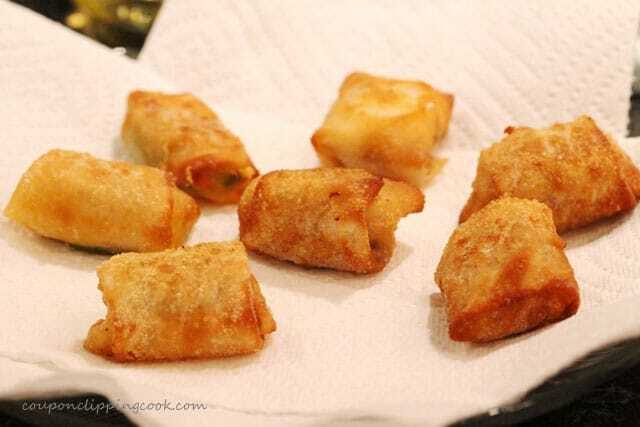 The cheese is rolled up in wonton wrappers and then quickly fried to a delicious crunch. 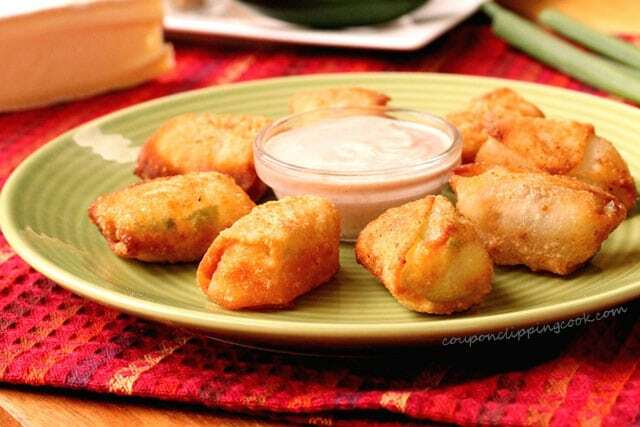 These wonton cheese bites taste really good on their own but adding a dipping sauce when serving them is even better. 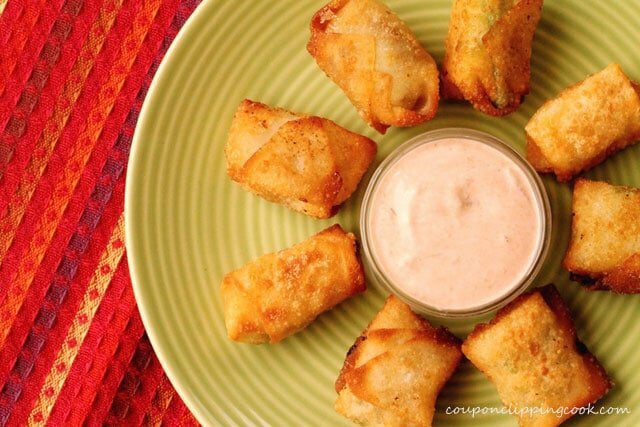 Here are 3 quick and easy dipping sauces that taste especially good with these wonton cheese bites. There are only 2 ingredients in each sauce option. Mayonnaise with adobo sauce from a can of chipotle peppers. Here’s another delicious recipe made with wonton wrappers “Pan-Fried Chinese Dumplings with Homemade Dipping Sauce“. 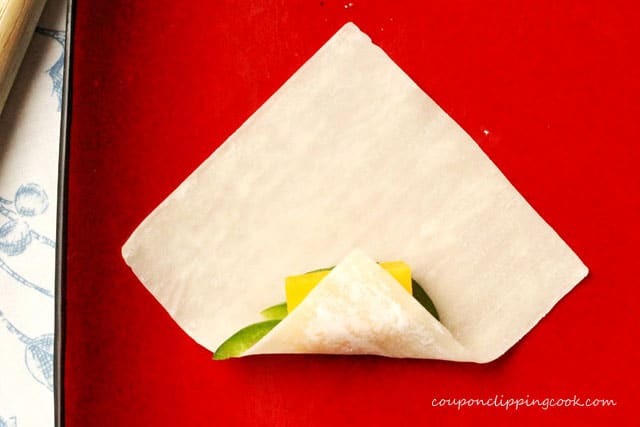 And here’s a recipe that’s made with egg roll wrappers. Egg roll wrappers are made with the same ingredients as wonton wrappers are, they’re just larger in size and generally a little thinner than a wonton wrapper “Turkey Egg Rolls“. Let’s check out the ingredients for the cheese bites. Cut a slice of brie (lengthwise, about 1/2 inch thick). 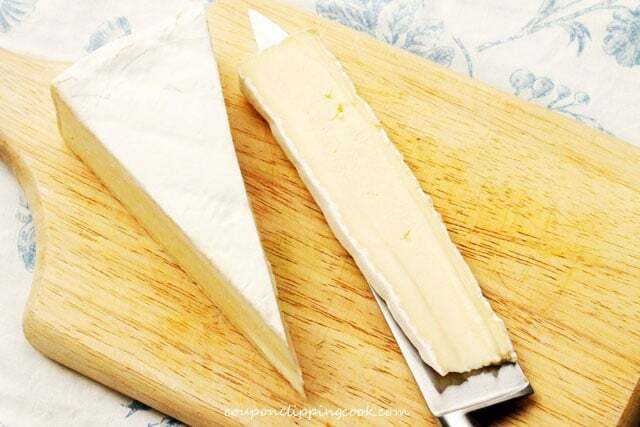 It’s easier to cut the brie when its chilled right out of the refrigerator. Cut the brie into 6 one inch squares. 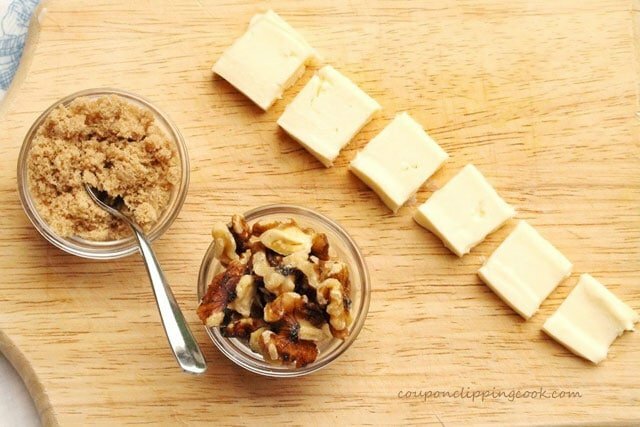 Set aside 3 of the squares for the Chive Brie Bites. 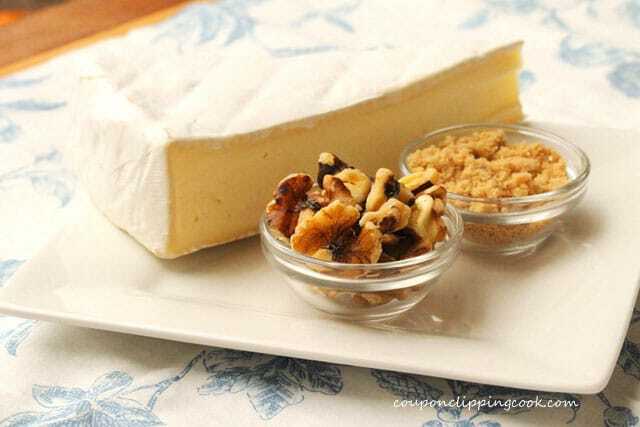 Set the brown sugar and walnuts next to the pieces of brie for easy access. 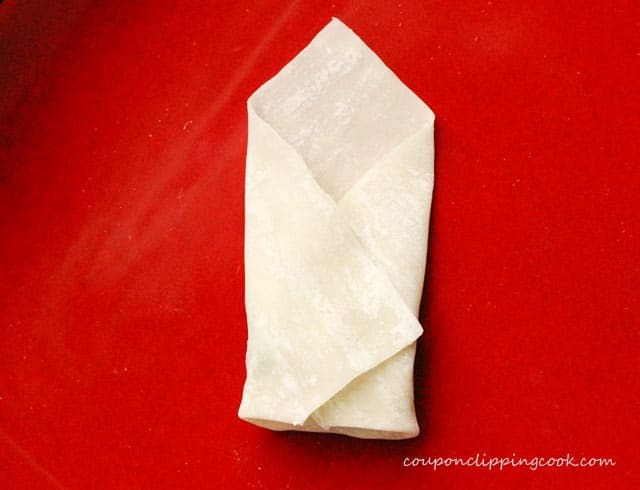 Lay a wonton wrapper on a plate so that it’s in a “diamond” type shape with one of the corners facing downwards. Lay a piece of the brie in the middle of the wonton and sprinkle brown sugar over the brie. It’s just fine if the brown sugar falls outside of the area of where the cheese is placed. Then add a walnut on top of the brown sugar. 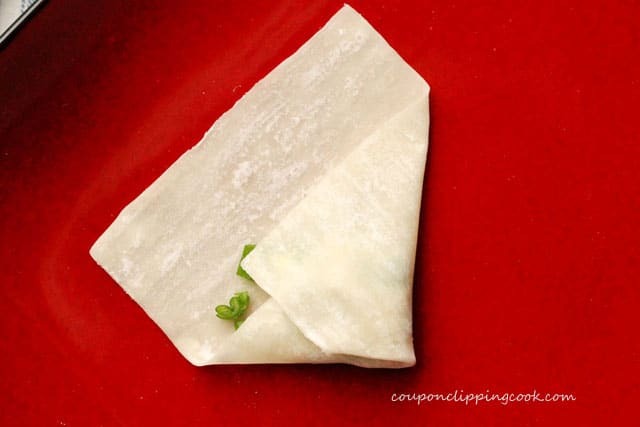 Next, fold the bottom corner of the wonton wrapper up and over the brie. Then fold the right corner over the brie. Then fold the left corner over the brie. 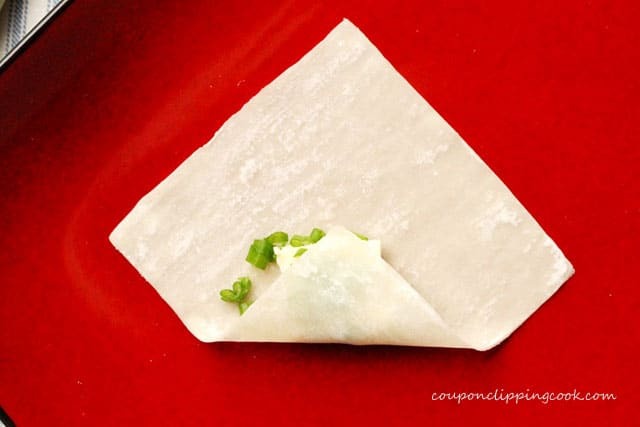 You may need to make a small adjustment to both sides to make the wonton wrapper a bit more narrow towards to top corner. 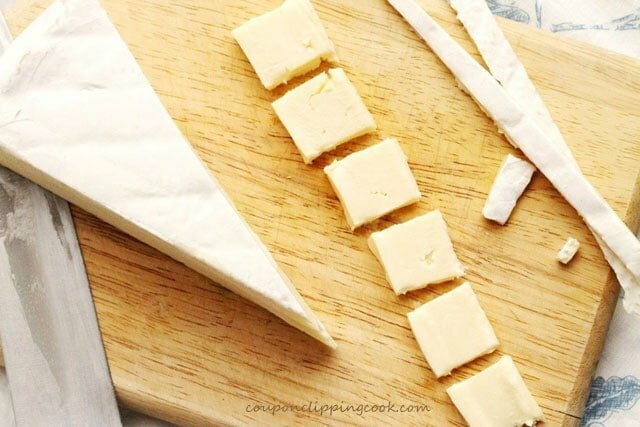 Make the last fold by rolling the brie up towards the top corner. Repeat with 2 more wonton wrappers and set aside. 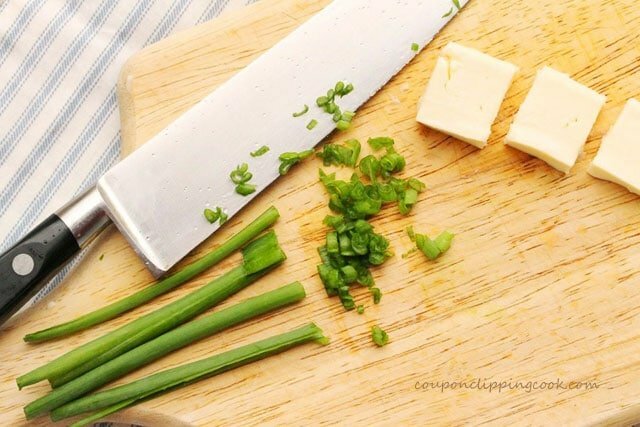 Chop the green part of a green onion into small pieces (just 2 long green pieces of the onion are needed). 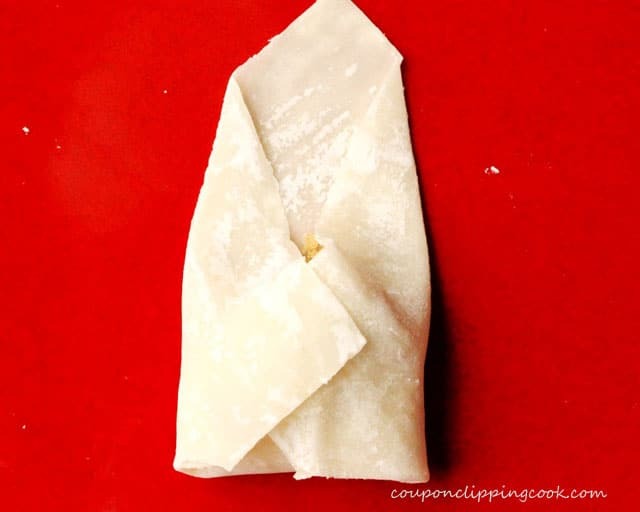 Lay a wonton wrapper on a plate. 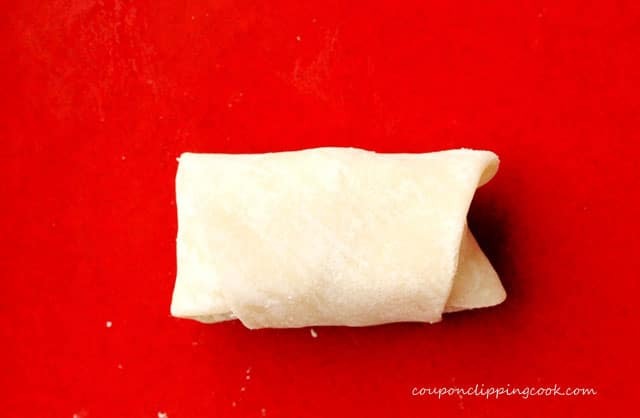 Place a piece of brie in the middle of the wonton wrapper. 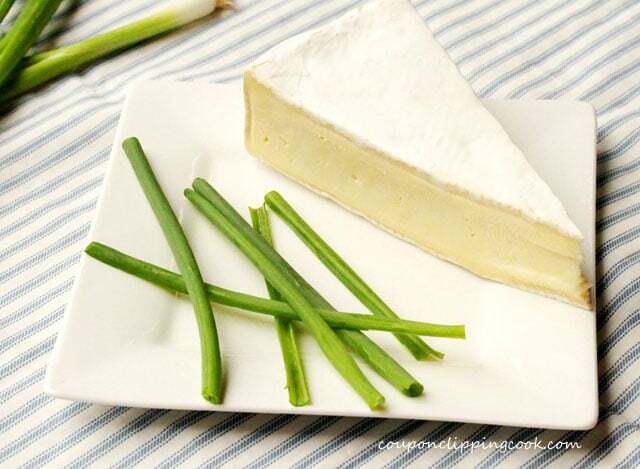 Top the brie with chopped green onion. …then roll it up to the top. 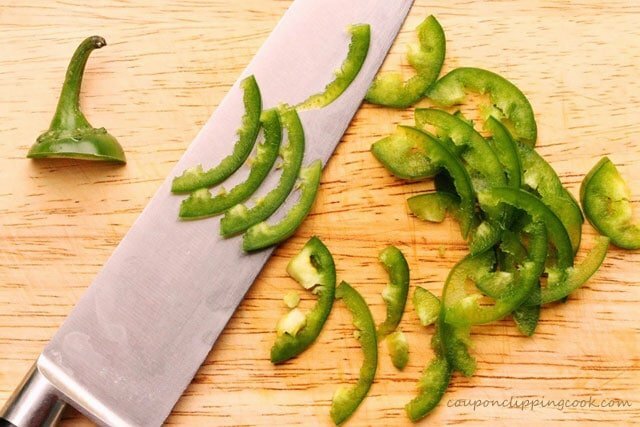 Remove the seeds from the jalapeno and thinly slice the pepper lengthwise. 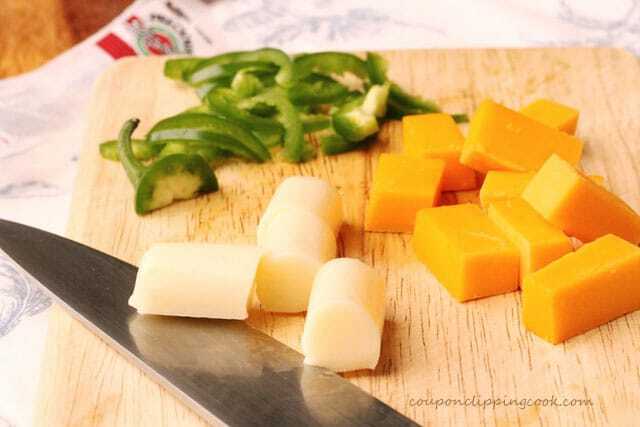 Cut the cheddar cheese into 3 pieces that are about 1 inch by 1 inch in size. 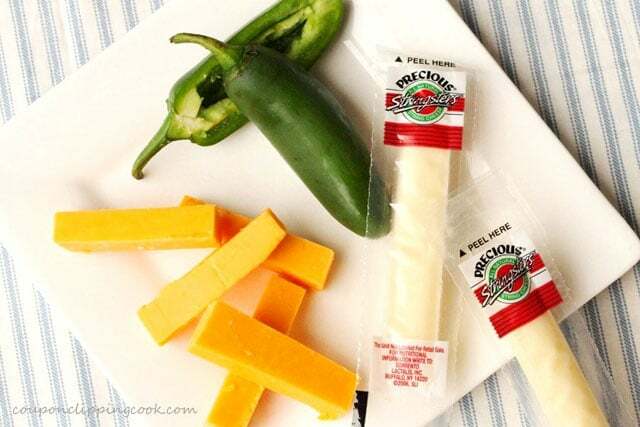 Cut the string cheese into 3 pieces. Lay 3 slices (or 4 if more heat is preferred) of the jalapeno on the wonton wrapper. Next add a piece of the cheddar cheese on top of the jalapenos; and on another wonton wrapper, add jalapeno and string cheese. Then roll each one up in the wonton wrapper. Repeat with the remaining wonton wrappers. Then roll it up in the wonton wrapper. Repeat with the remaining wonton wrappers and set aside. 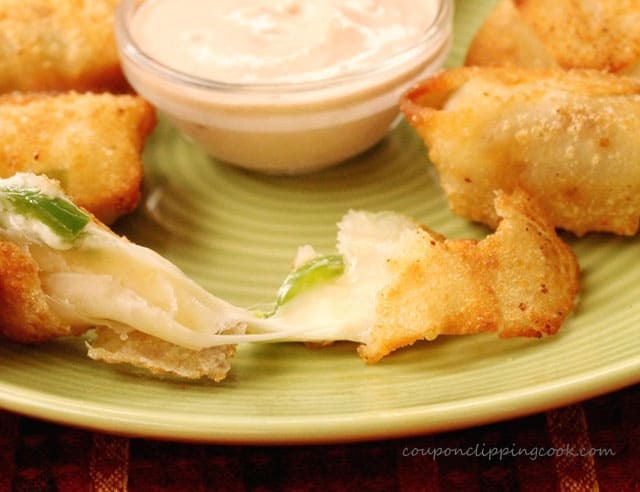 TIP – These wonton cheese bites can be wrapped ahead of time. 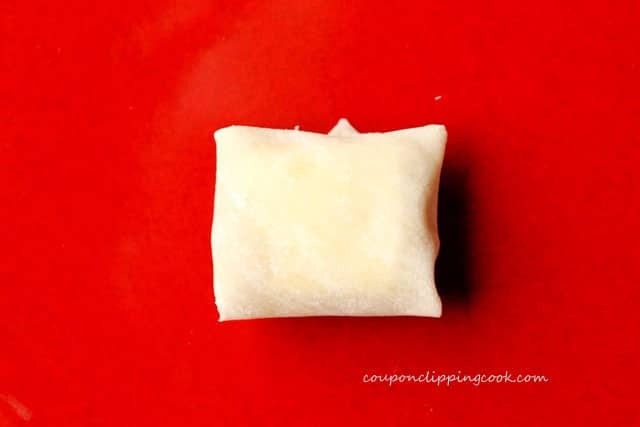 Just cover the wrapped wonton cheese bites with plastic wrap and store in the refrigerator until you’re ready to fry them (no longer than a day or the wrappers could dry out). Heat a medium size skillet on medium heat and add canola oil. 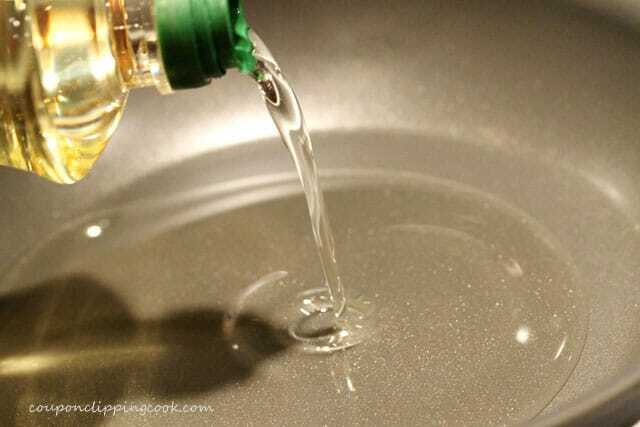 Depending on the diameter of skillet used, a little more oil may be needed so that the oil is about ½ inch deep in the pan. Add a tiny pinch of flour to the oil and when it bubbles it’s time to put the wontons in the skillet. Add four or five of the rolled up wontons at a time to the oil and keep a close eye on them. Fry them in batches so not to overcrowd the pan. Fry each side of the wontons until they’re golden brown. If the wontons are cooking too fast, turn the heat down a bit. 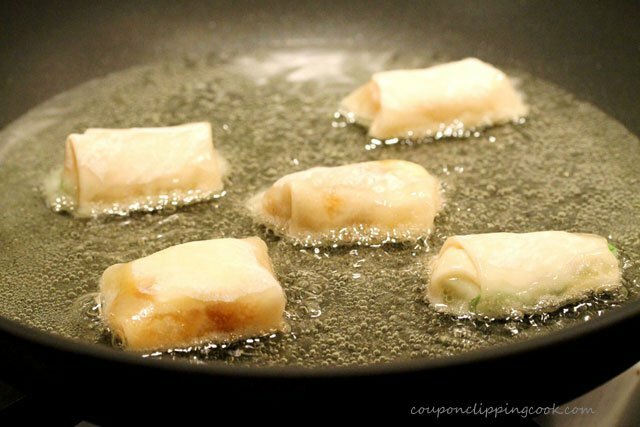 Transfer the wontons from the skillet to a paper towel-lined plate to drain off the excess oil. Serve warm with your favorite type of dipping sauce. …enjoy each and every cheesy bite. For the Wonton Filling - Cut a slice of the brie lengthwise (about 1/2 inch thick). Cut off the rind. Cut the brie into 6 one inch squares. Set aside 3 of the squares for the Chive Brie Bites. 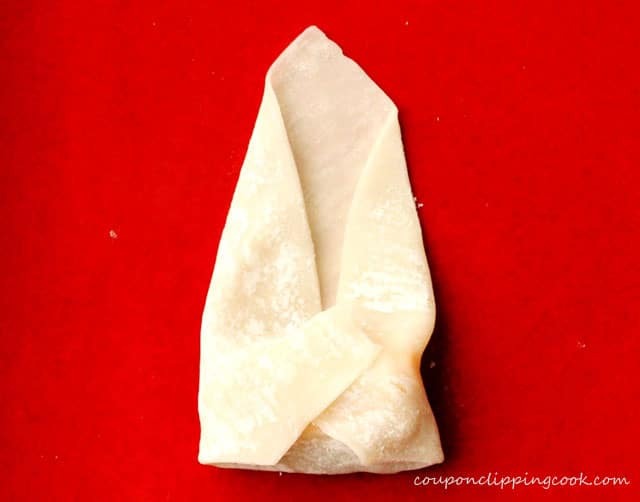 Lay a wonton wrapper on a plate so that it’s in a “diamond” type shape with one of the corners facing downwards. In the middle of the wonton, place a piece of brie cheese. Add ½ teaspoon of brown sugar over the brie. Then add a walnut on top of the brown sugar. Rolling the Wontons - fold the bottom corner up and over the brie. Then fold the right corner over the brie. Then fold the left corner over the brie. Small adjustments may be needed to both sides of the wonton wrapper to make the wonton a bit more narrow towards to top corner. 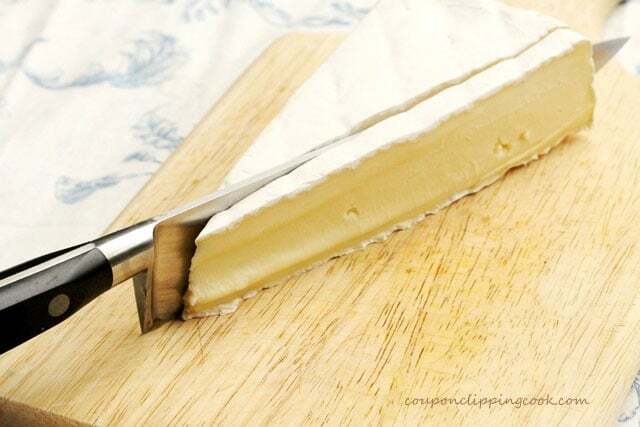 Make the last fold by rolling the brie up (that's inside the wrapper) towards the top corner. Repeat with 2 more wonton wrappers and set aside. 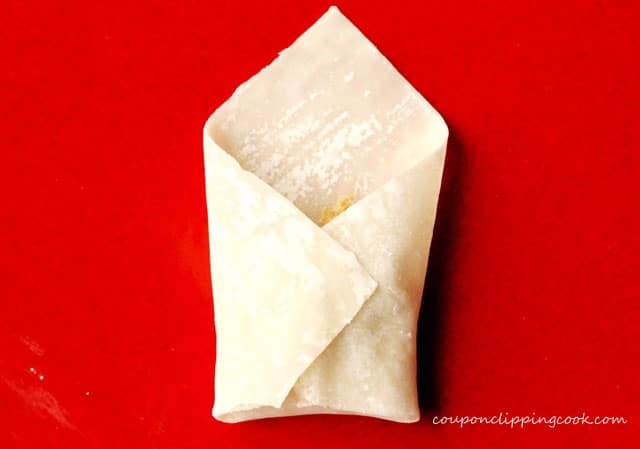 For the Wonton Filling - Lay a wonton wrapper on a plate so that it’s in a “diamond” type shape with one of the corners facing downwards. 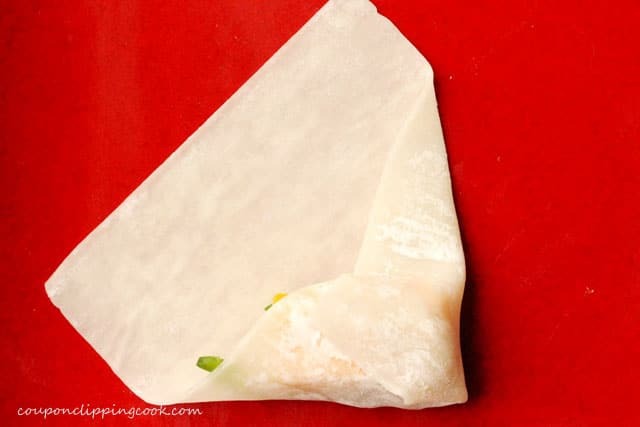 In the middle of a wonton wrapper, lay a piece of brie. Add ¼ teaspoon diced green onion on top of the brie. 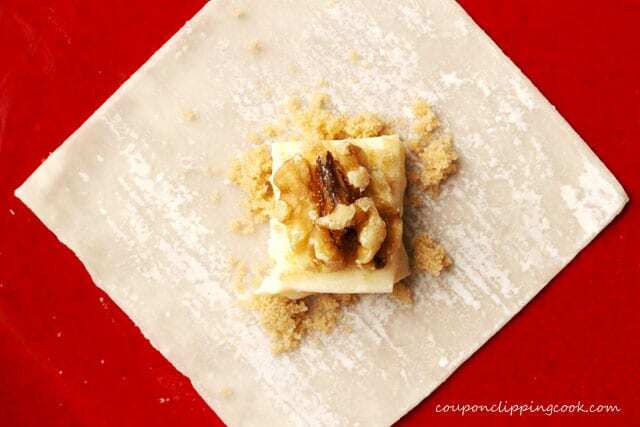 Then roll it up in the wonton wrapper (the same way as for the Sweet Brie Bites above). Repeat with 2 more wonton wrappers and set aside. 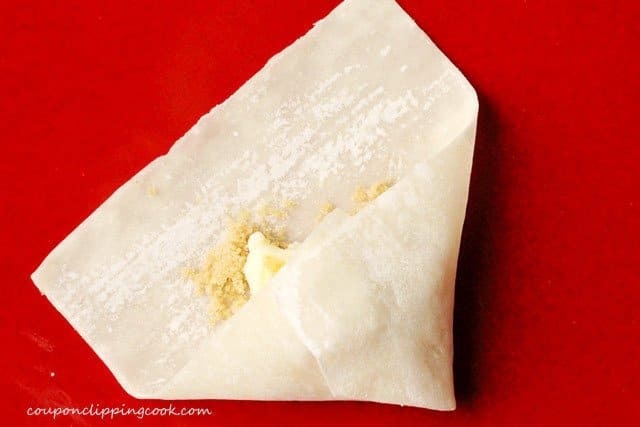 For the Cheddar Cheese Wonton Filling - Lay a wonton wrapper on a plate so that it’s in a “diamond” type shape with one of the corners facing downwards. 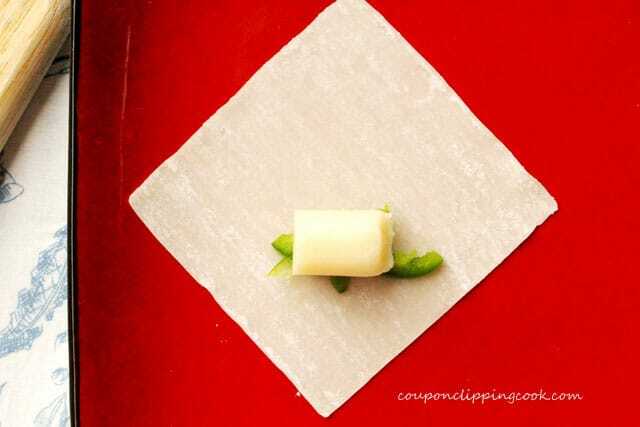 In the middle of a wonton wrapper lay 3 thin slices of jalapeno (add 4 slices if more heat is preferred). On top of the jalapenos, add a piece of cheddar cheese. Then roll it up in the wonton wrapper. Repeat with 2 more wonton wrappers and set aside. 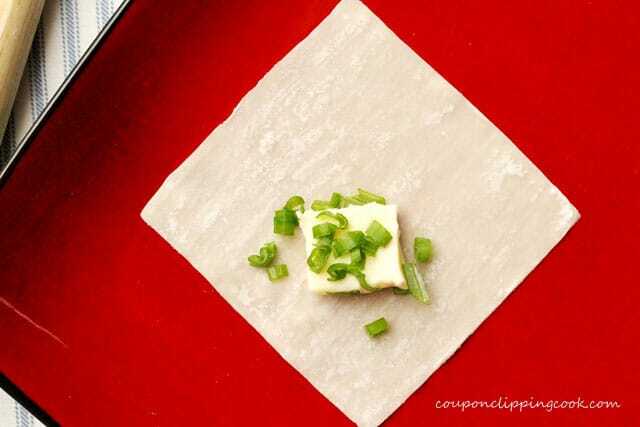 For the String Cheese Wonton Filling - Repeat the process using the string cheese and thin slices of jalapeno pepper. Set aside. Heat a medium size skillet on medium heat and add canola oil. To the pan, add a very small pinch of flour, when it bubbles it's time to add the wontons. 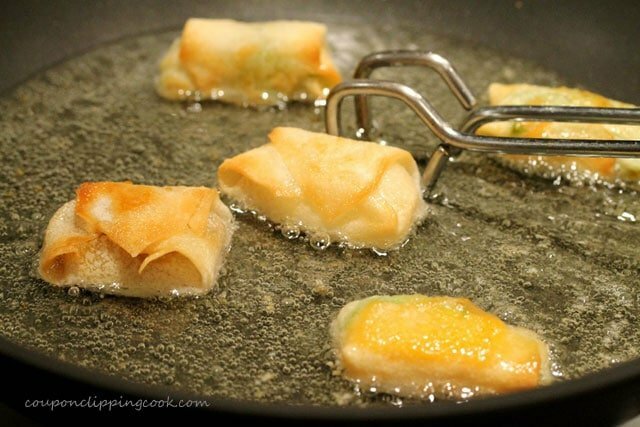 To the pan, using tongs, carefully add four or five of the rolled up wontons (seam side down) at a time to the oil and keep a close eye on them. Cook in batches to avoid overcrowding. Fry each side of the wonton until its golden brown. If the wontons are cooking too fast, turn the heat down a bit. Remove the wontons from the oil and set them on a paper towel-lined plate to drain off the excess oil. Serve warm with your favorite type of sauce. Some easy sauce ideas include mixing: Sour cream with your favorite salsa; or honey with Dijon mustard; or mayonnaise with adobo sauce from a can of chipotle peppers. 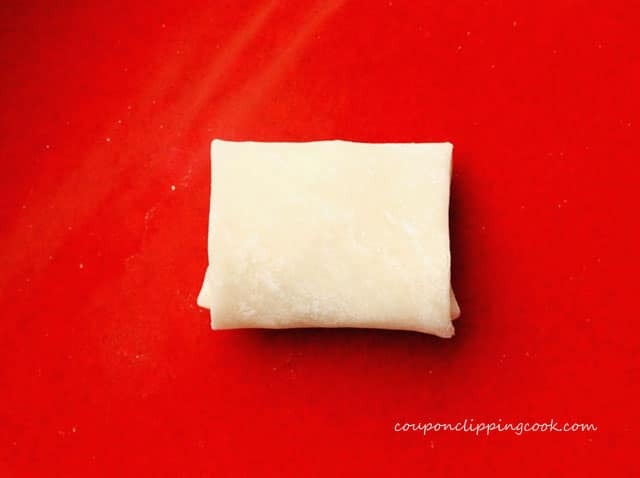 The wonton cheese bites can be wrapped ahead of time. 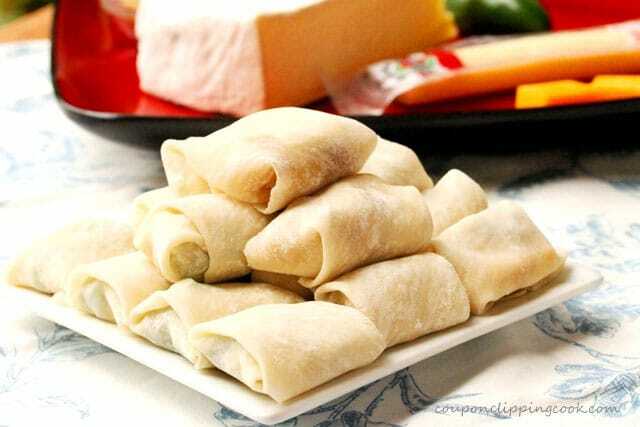 Just cover the wrapped wonton cheese bites with plastic wrap and store in the refrigerator until you're ready to fry them (no longer than a day or the wrappers could dry out). I am definitely going to try these. And for the jalapenos, could i still use brie as the cheese or is chedder a better combo? Hi Ely, I think the jalapenos would taste great with the creaminess of the melted brie. All of the versions looks delicious. Any way these could be baked instead of fried? I know there would be a difference in texture, but I really try to steer clear of frying in oil. Perhaps brushed lightly with oil then baked? Hi Andrea, I would for sure give it a try; lightly brush them with oil and bake at 350 degrees until the won tons start to turn a light brown or golden color. You’re right, there may be a different texture but by lightly brushing them with oil, the won tons may still be crispy. I’m actually going to give this a try myself. Thank you for mentioning it. wow, looks so yummmmy, thanks for sharing the recipe and step by step instructions ,great idea for the wonton’s filling. Hi Amallia, thank you for stopping by! 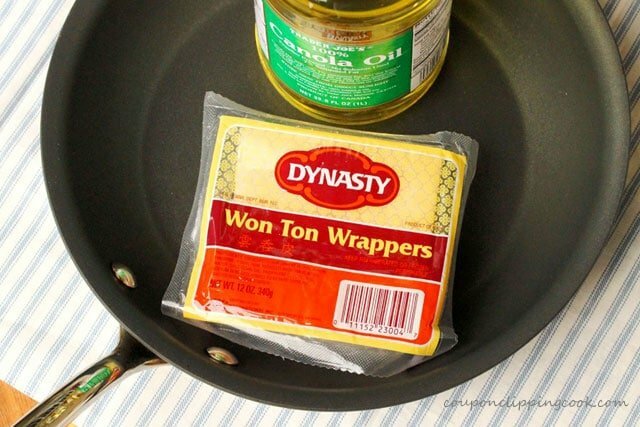 What a clever way to use won ton wrappers! Hi Christin, thank you for stopping by! These look really great! 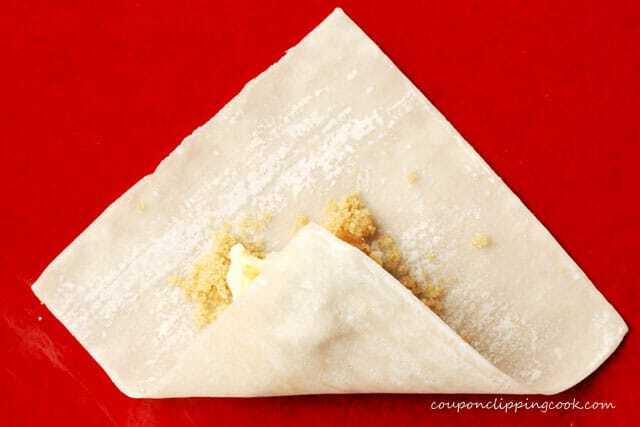 I’ve been making crab rangoon and cream cheese rangoon using wonton wrappers. I like the idea of a sweet cheese bite and also a spicy cheese bite. Hi Alyssa, the crab rangoon and cream cheese rangoons in won ton wrappers sound delicious. 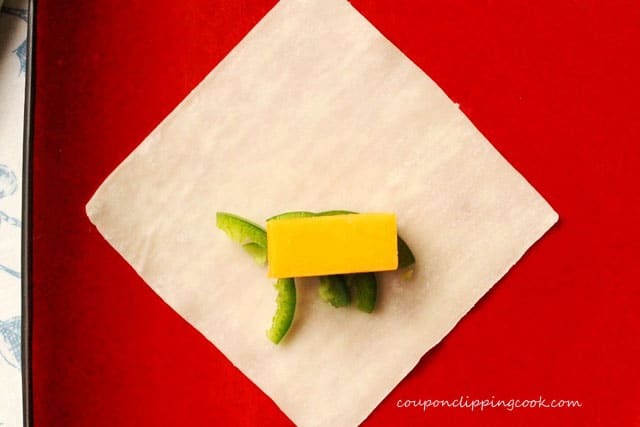 I have some leftover wonton wrappers in my fridge so I now know what I’m going to do with them! These look fabulous!!!! Great idea! Perfect! Thats the thing when making won ton recipes….sometimes you have too many wrappers left…or sometimes you need more. Then you get more…then you have too many again!!! Have a great day! Fun in the kitchen with won tons! I love those little wrappers, you can fill them with about anything. 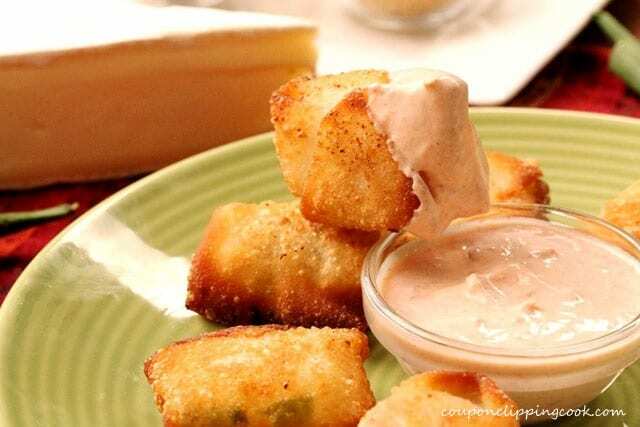 Cheese filled ones do make for an awesome appetizer plate. You also picked the best kinds of cheese here-yum! Delicious post!